The Gewehr 88 (commonly called the Model 1888 commission rifle) was a late 19th-century German bolt action rifle, adopted in 1888. The invention of smokeless powder in the late 19th century immediately rendered all of the large-bore black powder rifles then in use obsolete. To keep pace with the French (who had adopted smokeless powder "small bore" ammunition for their Lebel Model 1886 rifle) the Germans adopted the Gewehr 88 using its own new M/88 cartridge, which was also designed by the German Rifle Commission. The rifle was one of many weapons in the arms race between the Germanic states and France, and with Europe in general. There were also two carbine versions, the Karabiner 88 for mounted troops and the Gewehr 91 for artillery. Later models provided for loading with stripper clips (Gewehr 88/05s and Gewehr 88/14s) and went on to serve in World War I to a limited degree. Unlike many German service rifles before and after, it was not developed by Mauser but the arms commission, and Mauser was one of the few major arms manufacturers in Germany that did not produce Gewehr 88s. The Lebel Model 1886 rifle (French: Fusil Modèle 1886 dit "Fusil Lebel") is also known as the "Fusil Mle 1886 M93", after a bolt modification was added in 1893. 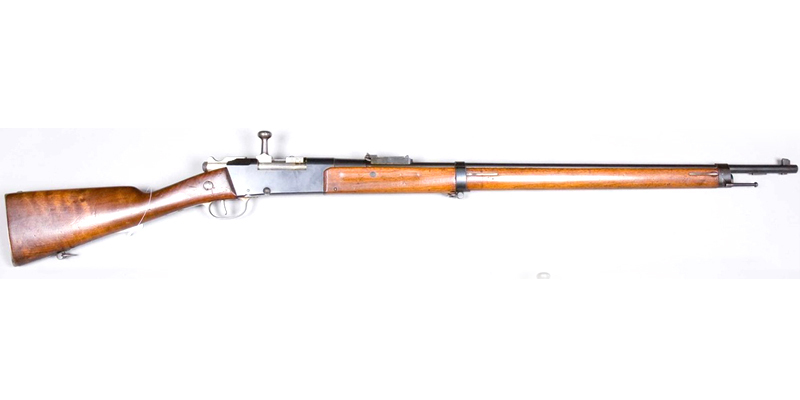 It is an 8 mm bolt action infantry rifle that entered service in the French Army in 1887. 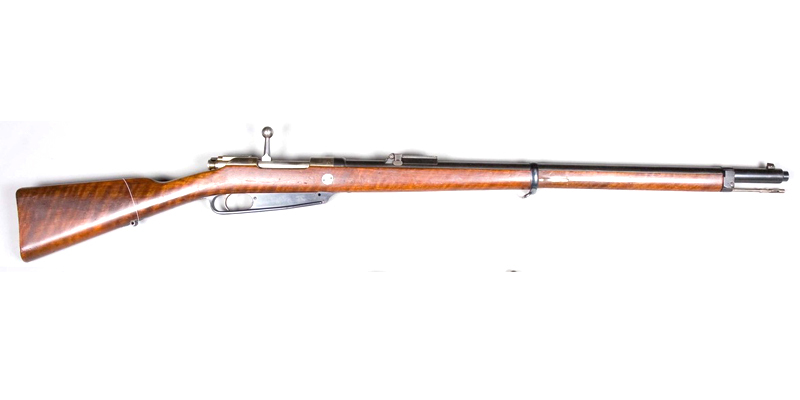 It is a repeating rifle that can hold eight rounds in its forestock tube magazine, one round in the transporter plus one round in the chamber. The Lebel rifle has the distinction of being the first military firearm to use smokeless powder ammunition. The Frommer Stop is a Hungarian long-recoil pistol manufactured by Fémáru-, Fegyver és Gépgyár (FÉG) (Metalware, Weapons and Machine Factory) in Budapest. It was designed by Rudolf Frommer, and its original design was adopted as the Pisztoly 12M in 1912, created for the Royal Hungarian Army. 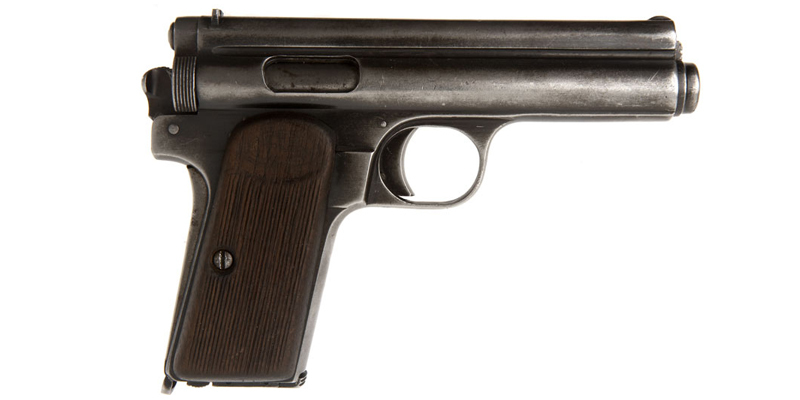 The handgun was manufactured in various forms from 1912 to 1945 and used in the Hungarian Armed Forces. The Stop is 165 millimeters (6.5 in) long with a 95 millimeters (3.7 in) 4-groove rifled barrel. Unloaded weight is 610 g (22 oz), and the detachable box magazine holds seven rounds. The HK P9 is a semi-automatic pistol from Heckler & Koch in 9×19mm Parabellum and the first to use a variation of H&K's roller delayed blowback system in a pistol format and polygonal rifling now common in H&K designs. Design began around 1965 and production ran between 1969 and 1978. 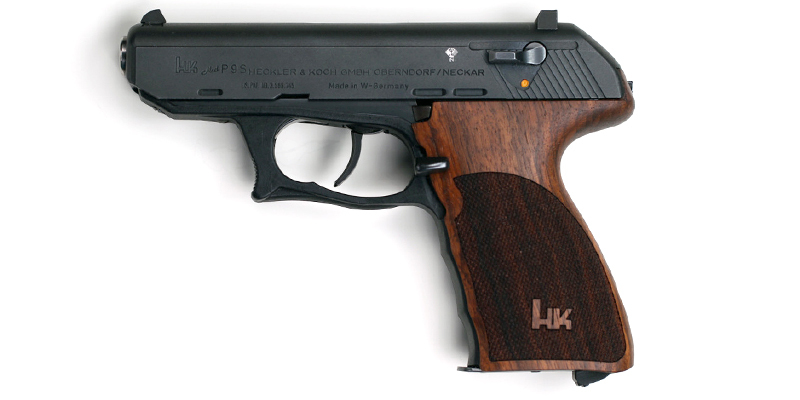 Only 485 single-action P9's were produced and were discontinued in 1970. A traditional double action version, the P9S (the S standing for Spannabzug, or "double-action trigger") was manufactured in greater numbers. 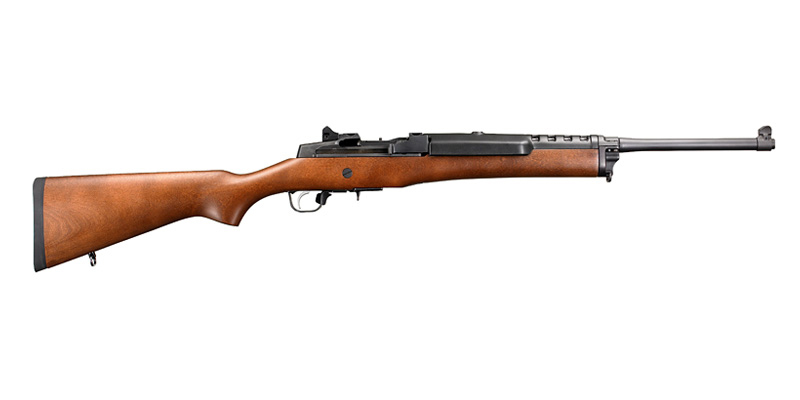 The Mini-14 is a lightweight .223 caliber (5.56 mm) semi-automatic rifle manufactured by Sturm, Ruger & Co. that is popular with law enforcement, security personnel, hunters, ranchers, and target shooters. It is made in a number of variants including the Ranch Rifle with an integral scope base on the receiver and the Mini Thirty which is chambered for 7.62×39mm. The Beretta AR70/90 is a gas operated self-loading rifle chambered for the 5.56×45mm NATO cartridge, and is the standard issue service rifle of the Italian Armed Forces. 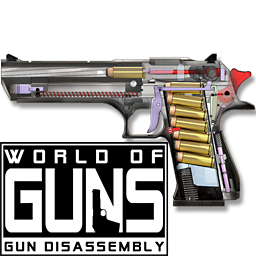 The weapon is also designed to be fitted with a rifle grenade, and has grenade sights. The AR series comes in many variants such as the AR90, with a wire folding stock, for use by paratroopers. Ar-7 survival rifle was developed at American company Armalite(division of Fairchild Aircraft) during late 1950s, with intent to provide suitable weapon for crash-landed or parachuted aircrew members and others who might find themselves in a wilderness survival situation. The basic idea was to design a lightweight weapon, suitable for hunting a small game, which will be insensitive to elements and easily stored in a compact package. It seems that Armalite team succeed in this task, as the Ar-7 rifle is still in production after almost 50 years since its introduction, although now by different company. 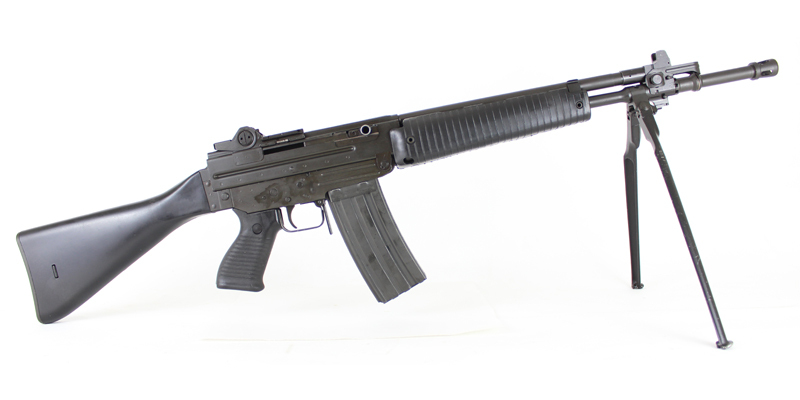 During 1970s, manufacturing rights for Ar-7 rifle were purchased by CharterArms Co (USA), which produced Ar-7 until about 1990. Between 1990 and 1997 Ar-7 rifles were made by Survival Arms (USA), and today same rifles are produced in USA by Henry Repeating Arms Co. The Mondragón rifle may refer to two rifle designs developed by Mexican artillery officer General Manuel Mondragón. The initial designs were straight-pull bolt-action rifles (M1893 and M1894); those rifles served as a basis for developing Mexico's first self-loading rifle, the M1908, which was also one of the first such designs to see combat use. The design was adopted by the Mexican Army in 1908 as Fusil Porfirio Díaz Sistema Mondragón Modelo 1908. The same year, the Mexican government contracted with SIG for the production of 4,000 M1908 rifles, chambered for the 7×57mm Mauser Mexican service cartridge. Due to the Mexican Revolution, by 1910 only 400 rifles had been delivered by SIG. The rifle's inability to cope with ammunition of poor quality and the high unit cost of SFr160 per rifle, led to the cancellation of the order by the Mexican government.